Updated 27 March 2019 In the new version of Google Tag Manager, one of the most visible and profound changes to the previous version is how tags are fired (and blocked). First of all, there’s the obvious terminological distinction: we talk about triggers now, not rules. Second, triggers have become an integral part of the tag creation workflow, and as such have far more significance in the user interface than before. 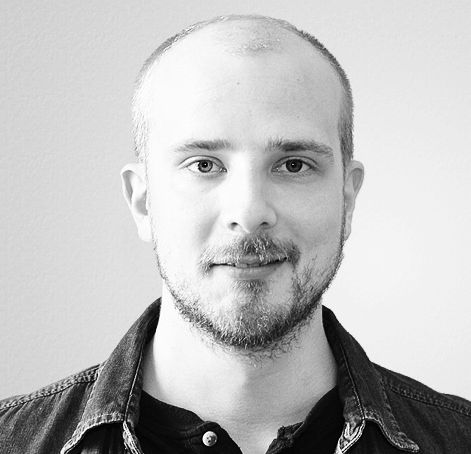 Rules are the cornerstone of Google Tag Manager. As with any critical element in a system, they are easy to get wrong. 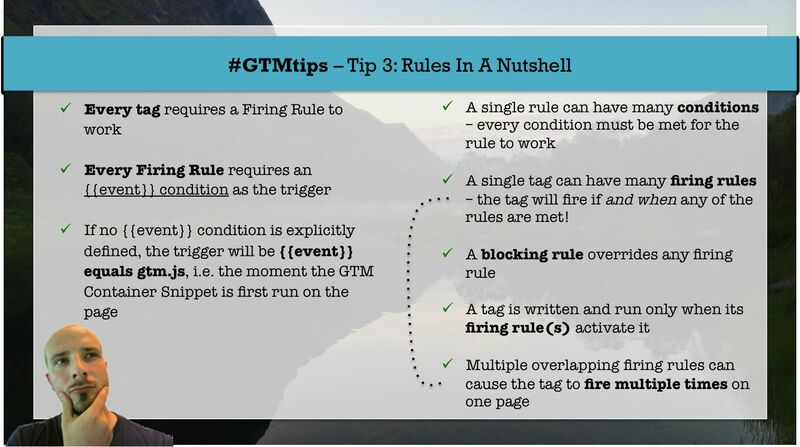 This tip is just a refresher on how GTM firing and blocking rules work. Tip 3: Google Tag Manager rules in a nutshell So, let’s go through these points one-by-one. Every tag requires a firing rule to work - this is a given. Without a firing rule, your tag will not be written in the document object, and it will never be executed. There is a new version of this guide for GTM V2 here. (Last updated April 2014) I see Google Tag Manager’s operational model as an analogy of Montesquieu’s three-branched government theory (don’t leave just yet, I’m getting somewhere with this). We have the legislative power of tags (what should be done), the judiciary power of macros (explore the context and circumstance of each tag), and the executive power of rules (make the tag happen).